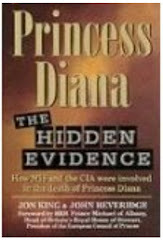 Princess Diana: Princess Diana Death: Driver's Blood Sample Was Swapped! Princess Diana Death: Driver's Blood Sample Was Swapped! Princess Diana Crash: If Driver's Blood Sample Is To Believed, Henri Paul Would Have Been Comatose! If one were to believe the lab results of Henri Paul's blood sample, then Henri Paul would, at best have been incapacitated with a very severe pulsing migraine-like headache, and at worst would have been comatose! Either way, according to the blood sample results released by the authorities, Henri Paul would never have been able to drive on that night of August 31, 1997, let alone swerve and collide with a pillar after some undeniably pretty skillful driving! According to the official report, Henri Paul's Blood Alcohol Concentration (BAC) at the time of his death was an astounding 0.30% which is almost 4 times over the legal limit! (As far as California State is concerned a BAC of 0.08% renders you as legally unfit to drive.) Such a blood alcohol level means that Henri Paul would have been teetering on the verge of unconsciousness if anything, certainly he would not have been able to steer a vehicle in any manner at all. That number of drinks amply illustrates that Henri Paul would not have been able to talk coherently, walk, let alone drive! If the blood sample accredited to Henri Paul was actually his…HENRI PAUL WOULD HAVE BEEN STUMBLING, RAVING, ROLLING DRUNK! How Did Toxic Levels Of Carbon Monoxide Appear In His Blood Sample? Before I tackle the rather intriguing puzzle of how toxic levels of carbon monoxide were introduced into Henri Paul's blood it is interesting to note that carbon monoxide (CO) poisoning coincidentally happens to be the most common type of fatal poisoning in France! (The significance of this will become apparent later on). The levels of carbon monoxide found in Henri Paul's supposed blood sample was in excess of 2,000 PPM (parts per million) or 0.20%. With such blood levels Henri Paul would have experienced an excruciating blinding headache, dizziness, nausea and would have been dead within 1.5 hours from initial introduction. Surely it truly is stretching the bounds of belief (suspended or otherwise) that a human being could possibly function normally (or what appeared normal to everybody) with such a lethal dose of carbon monoxide in their bloodstream! Was The Carbon Monoxide Introduced From Crash Vehicle? Some devoted advocates for the accident scenario may well postulate that the carbon monoxide got into Henri Paul as a result of the idling Mercedes engine within the confines of the Point d'Alma tunnel. Well, if that were the case then Dodi Fayed and Princess Diana would have exhibited similarly toxic levels of carbon monoxide. But guess what…surprise…surprise, they didn't. In any case the tunnel was way too large and well ventilated for anybody to accumulate such a lethal dose of CO (carbon monoxide) whether they'd been there for hours with a running engine. Moreover even if one were to pursue the CO intoxication from the exhaust of the idling engine of the wrecked Mercedes angle, such a scenario would still be impossible for the simple fact that Henri Paul was killed on impact! I guess a broken neck will do that! The Blood Sample Cited By Official Report Was Not Henri Paul's! The most obvious step to prove beyond a shadow-of –doubt whether the blood sample belonged to Henri Paul or not would have been to conduct a DNA test; but of course this was never done and unsurprisingly there are no remnants of the blood samples in question. So legally there is absolutely no basis on which those samples could be attributed to Henri Paul! 1) Supposedly 5 samples were taken from the body of Henri Paul. 2) Commander Mules stated that they were handled and processed in the same manner. 3) Two of those blood samples were sent to different labs for testing; the other 3 samples remained at the lab where Professor Dominique Lecompte conducted the autopsy. 4) Of those two samples sent off both supposedly revealed the massive levels of alcohol as well as toxic levels of carbon monoxide. Contrary to normal procedure the unused portions of these samples were conveniently never preserved (ensures that no pesky confirmatory DNA test could be conducted at a later date)! 5) Later on in a Paris Court, under oath Professor Dominique Lecompte revealed that she only took three samples of blood from Henri Paul's body under Commander Mule's supervision (to date nobody can adequately explain where the other 2 samples came from). 6) The unused portions of the 3 samples that Professor Lecompte concedes to have taken should remain but once again guess what…NO SAMPLES REMAIN! 7) 4 days after his death another blood sample was drawn from Henri Paul with Judge Herve Stephan in attendance (French Judge Heading the French Investigation). This sample was sent to the same lab as the other mysterious 2 samples had been; this sample like the others was handled by a Dr. Pepin. This sample was drawn from a different area of the body using a different means of extraction. When the results came back astonishingly they were almost identical as the other two suspicious samples handled by Dr. Pepin's lab. According to several top international experts such closely similar results under such variably different circumstances was highly suspect to say the least. MORE AMAZING STILL WAS HOW THE UNUSED PORTION OF THAT NEW BLOOD SAMPLE MYSTERIOUSLY DISAPPEARED TOO! 8) The only sample that was tested for Henri Paul's DNA and confirmed said DNA came from one of the original three samples drawn by Prof. Lecompte. Nobody however ever bothered to clarify this little fact for it was more expedient to let the world think that the bogus samples were indeed the ones belonging to Henri Paul! 9) Though it was claimed that the blood samples were all handled, processed and stored in the same manner, this was not true at all. In fact one of the containers allegedly containing a blood sample from Henri Paul exhibited evidence of another name having been hastily scratched out and replaced with that of Henri Paul!